Twin west coast mirrors with turn signals and ugle sticks. I'm not familiar with the grille in that truck. Late 1980's or early 1990's, though. The "Dukes of Hazzard" add-ons are a tad much for my taste. I'm more of a stock man as well. In case you haven't figured it out, I hate new trucks!!!!!! 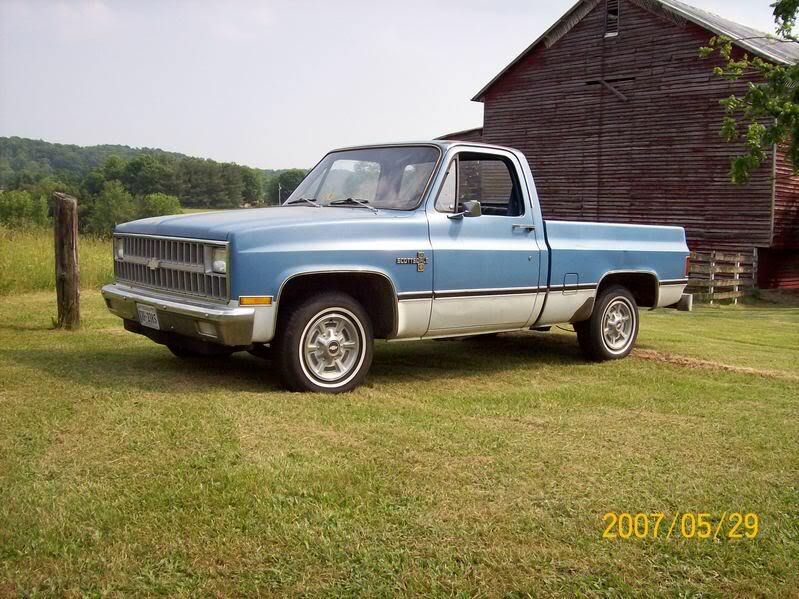 My folks had a blue and white Bubba and that was the vehicle I got to borrow in high school and the last civilian truck I drove til I got my current truck. Those things will stand up to anything but lots of salt. If you get a new truck every mar scratch or ding is a heartache. None of that takes from a good old one. MEz that's a nice truck. Nice house, also. Is it yours??? That is a nice '81 or '82 Chevy, MEZ. You don't ever see a set of those full wheel covers anymore. They were popular in the day. The '83 and '84 Chevies had the parking lights behind the grille, instead of in the bumper. Bill Cahill wrote: MEz that's a nice truck. Nice house, also. Is it yours??? My office is behind the shaort bed Ford. 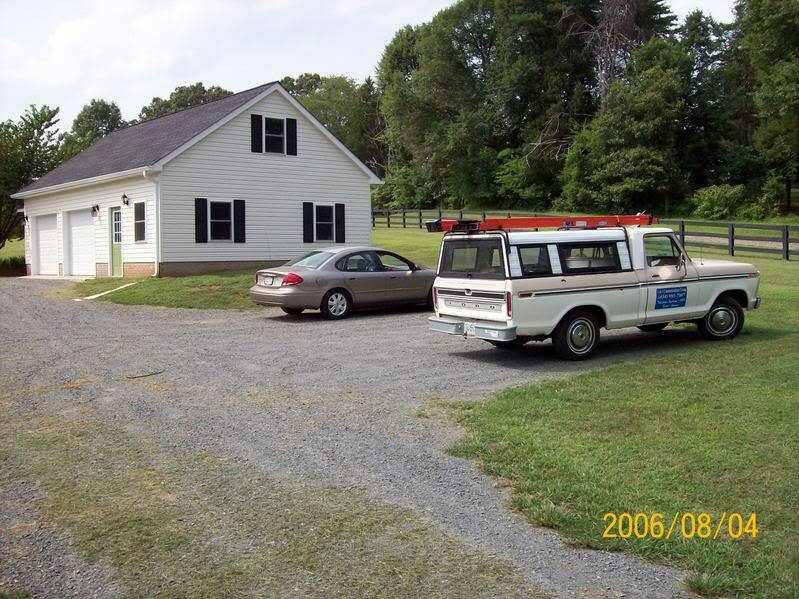 The farm house is behind the old Form that needs paint. The barn is behind the Chevy. 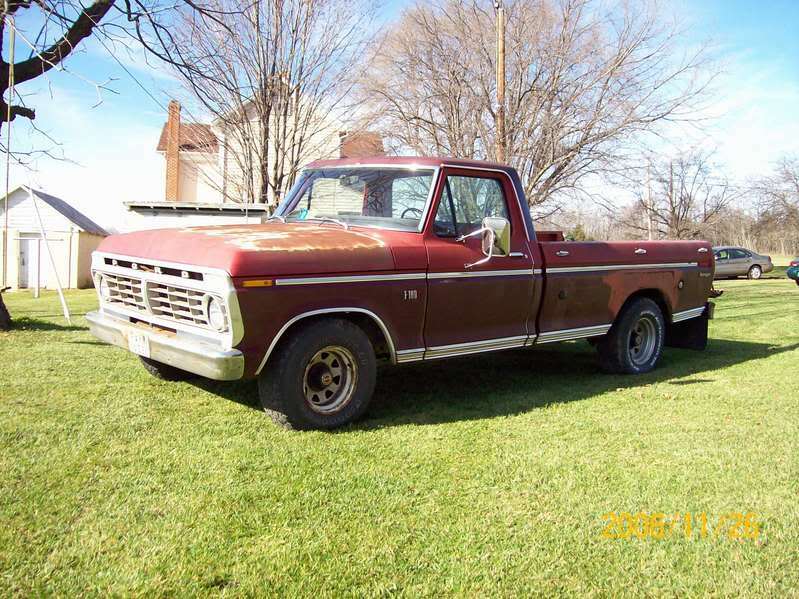 It's an '81 Chevy C10 with the Cheyenne package. When a truck lasts that long, you know you have picked the right one. 75X11 wrote: When a truck lasts that long, you know you have picked the right one. Exactly! However..........I'm not sure we have that chance with some of the new trucks. 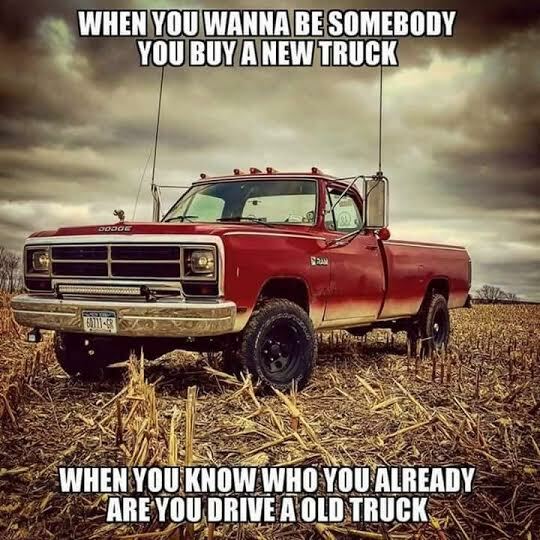 To be honest, I'll restore and old truck before I purchase most of these new ones. The beds are too high and too small for my taste, along with a cost that is too high.